Merry Christmas, South Pierce County! Everyone at the Pierce Prairie Post wish you and yours the best Christmas ever! The editor of the Post moved over the weekend, a new home in Graham for Christmas. With a creek in the back and a view of Mount Rainier out front, Marianne is thrilled and introspective about the change. The Post began during a time when she was unemployed and having to stay with family. To feel productive with her extra time, she began writing this news blog from all the emails, contacts, local history and events she had at her finger tips. It kept her busy and had helped countless others find out what’s going on around them. 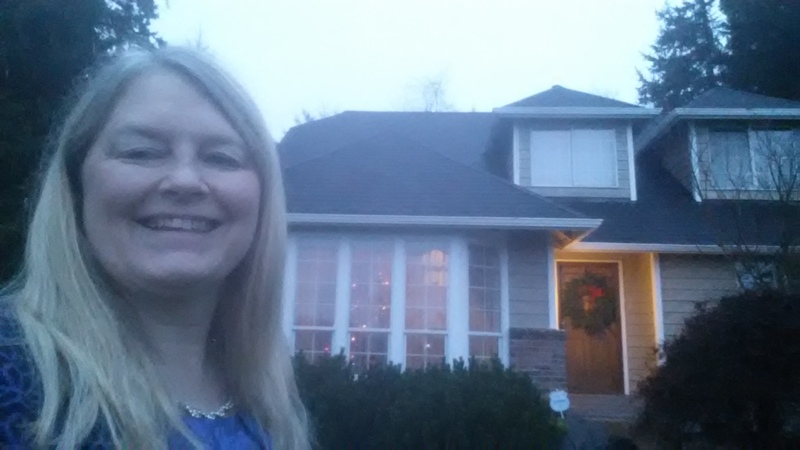 Since Marianne began working at State Farm as an auto claims associate, she has still managed to gather daily news for the communities in South Pierce County. The Post also counts on all of your to let us know what’s happening in your neighborhood. Keep your emails coming. The Post is a non-profit and charitable operation, not a profit machine. We get a few donations from our wonderful readers (thank you!) but mostly this is a labor of love. Marianne’s new house isn’t quite all hooked up with TV, Internet, etc, so please be patient with the articles in the next few days. Moving is time consuming. Previous Post What to do with your old live Christmas tree? Treecycle!